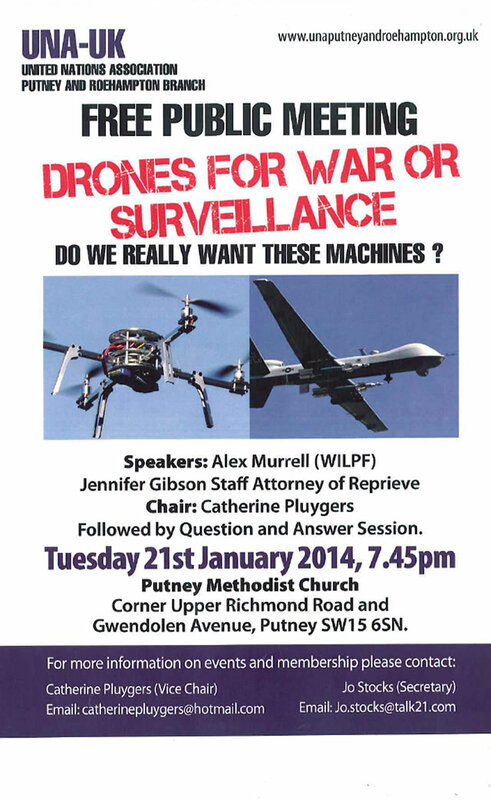 Drones for War or Surveillance – Do we really want these machines? Speakers: Alex Murrell (WILPF) and Jennifer Gibson, Staff Attorney of Reprieve will give a talk which is open to all members of teh public. This will be followed by Question and Answer session.